Canada’s History magazine is calling for scanned letters, photos and memorabilia from relatives of those who served during the war, including the many women who helped win the war on the homefront as well as overseas. Do you have family connections to share? 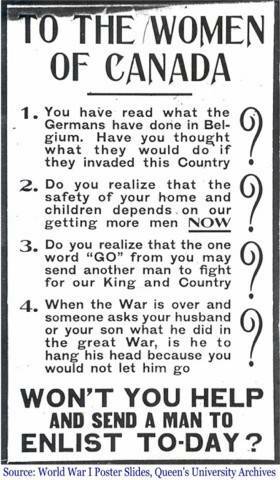 McMaster University Libraries has a fascinating post about a series of leaflets written to encourage British and Canadian women to take an active role in fighting the war. This entry was posted in Canadians, Nurses, Women by World War One Historical Assn. Bookmark the permalink.